Hudson Valley Flying Circus | “CIRCUS BOYS FLY” …DANE SORENSEN (15′ 9″PR)…SHANE RACEY(15′ 6″PR)…NICK VILLANUEVA(14′ 7″PR)…DALTON YEUST(14′ 6″) !!!! “CIRCUS BOYS FLY” …DANE SORENSEN (15′ 9″PR)…SHANE RACEY(15′ 6″PR)…NICK VILLANUEVA(14′ 7″PR)…DALTON YEUST(14′ 6″) !!!! Here’s the VAULT SCOOP …. 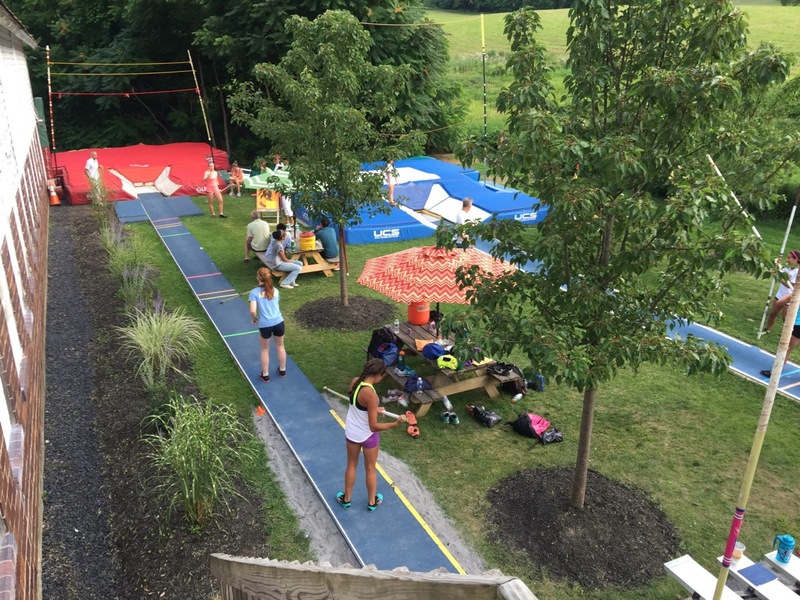 Fall Prep season turns into Winter Success ….. CONGRATULATIONS to all MS-HS and College athletes and families for turning up he performance levels again this weekendon pole vault runways across the EAST. The hay you stored up in the fall …can now be used in the winter! Many new Personal bests and break-thru’s happening now with our 113 Flying Circus Vaulters in our club. Our club is expanding it’s reach and you all have invested in our program and process. Thank you for supporting our young athletes here everyday. We are now in our 5th Training Cycle of the Year and we will start up the Peaking Cycle very soon. Thank you all for believing. High School Weekend Report—- Taking top HS Honors this weekend…was Shane Racey from Ravena,NY. this junior scholar flew 15′ 6′ for another school record at the Utica Challenge and has accepted his NYRR Millrose Games Invite on February 9 at the NB Armory!! He had 1 close bar at 15′ 11 and is Coached by Brian Leggett. Another junior star on the rise is Nick Villanueva of Monroe-Woodbury,NY. Taking the OCL Division 1 vault title at 14′ 7″PR for Coach Hemmer and Coach Glover @ West Point. Perhaps the biggest improvements this winter have come from junior strongman…Dalton Yeust of Tunkhannock Area,PA. This fast and courageous left handed vaulter flew 14′ 6’PR and School Record at the Susquehanna Classic Meet today in that bright orange TIGERS uniform. This moves him into =5th on the PA State List. Up in Connecticut Country…. Aidan O’Connor of Lewis Mills flew a school record 14′ 0″ for this junior speedster and was close bar at 14′ 6′. Paige Martin ..a junior at Norwich Free .. added to her school record with an 11′ 8′ sail and close at 12′ 0″. Her sister Madison also looks solid at 10′ 6″ for Coach Ross VanSteeg and Elise Russell is knocking at the 11′ 6″ door every meet. Katie Ryan(Newtown,CT) is one of States Top Sophs at 10′ 0″ this winter. Jackson Hemphill(Fairfield Ludlo) won the FCIAC East ..at 12′ 6″…Kieran daly(Darien) placed second at 12′ 6″ ..In FCIAC West… Zack Iannucci(Trumbull) won gold at 11′ 6″ Andy Spillane 9′ 6′..Aleksandia Misiewicz was solid over 9′ 0″. Athe the Armory—- Sophomore Fiona Carroll of Averill Park,NY won gold at the Bullis Invite at 10′ 0″…. Matawan,NJ senior Mue Carroll hit 11′ 3″ this week and then won the Shore Conference at 11′ 0″ yesterday. North Rockland senior Rebecca Baez won gold at 10′ 0″…Suffern Soph..Hanna Solomon-Hollander placed 2nd at 9′ 0″ Grace Simpson(TZ) 7′ 0″.. Erin Dowling(PR) 7′ 0″ Kaelen Serra(NR) 7′ 0″. Arlington ,NY senior Kristen Kolarik won No.County CHamps at 10′ 8″ PR..Clarissa Cuomo(Brewster) 10′ 0″ Kierra Tucci(Pawling) 7’0″ Emily DeGloria(Pawling) 7′ 0″. Chris Filatov(Nanuet) won Rockland at 13′ 6″..Tom Qualter(CS) 12′ 0″ Ronald O(Nanuet) 12′ 0″ Jared Fiscus(NR) 12’0″ Steve Nostro(CS) 10′ 0″ Jason McDonough(RCK) won at 13′ 6′ Jeremy Frank(A) 11′ 6′ Charles Hatzman(RCK) 11′ 6″. OCL @ West Point Results… Boys–Nick Villanueva(MW) 14′ 7″PR Louis Martinez(Wall) 12′ 0″ Noah Brown(NP) 11′ 6″ Anthony Cortez(MW) 10′ 6″.. Girls –Julia Penna(MW) 10′ 6″ Gabby Nebiker(MW) 10′ 0″ Keira Couland-Smith(NP) 8′ 6″ Angelisse Diaz(NFA) 8′ 6″ Shea Ross(Wall) 7′ 0″ Siri Walsh(NP) 6′ 0″…In Friday night OCL… Washingtonville,NY super sophomore..Nick Mirecki flew 13′ 7″PR for Coach Stephanie Duffy. Mack hallett(Warwick) placed silver 11′ 6″ PR Jacob Becher(Warwwick) 11′ 6″ Justin Oberle(FDR) 11′ 0″ Kevin Chait(Wash) 10′ 0″–Girls–Kaeli Thompson (Warwick) won 3 events—Long Jump 17′ .25″ Sch Record–Hurdles and pole vault for 30 points!!! Genevieve reilly(War) 9′ 6″ Syd Tomaine(FDR) 9′ 6′ Daniella Raymond(Wash) 9′ 0″ Samantha Becker(SW) 8′ 6″ Sophie Miecki(Wash) 8′ 0″ Reily Clune(RV) 6′ 0″. College Report—– Freshman Dane Sorensen(Cortland State University) flew another PR at 15′ 9″ to become #3 All-Time for the Red Dragons. He used his 14′ 7″ x 180 with speed galore!! Cortland sent 8 vaulters to this meet at Utica. Ryan Lawless 13′ (‘ Martin Desmery(Ithaca) 13′ 3.5″…. Girls–Julia Norberg(Ith) 10′ 6″ Cara Kelly(St Rose) 10′ 6′ Maurin Oconnor(RPI) 10′ 0″ Lindsey Julian(Oneonta) 8′ 6″… Dr.Sanders Invite at Armory saw the re=emerging of NY State Champ..Tedi DeMaria of Bethlehem.NY-UVA).. with her 12′ 3.5″ comeback story beginning. Megan Biscoglio(UCONN) 11′ 3.5″. Hats Off to Lehigh University Sophomore Madisyn Hawkins with her pole vault win at Navy Invite at 12′ 5.5″..Junior Caitlin Reverand(L) sailed big over 10′ 6′ and Grace Gardella(L) hit 10′ 0″ this weekend. Harvard University freshman…Alana carroll placed at Princeton Invite at 12′ 3.5″…. Nicole Lester(TCNJ) leaped 11′ 3.5″ Lia Zavattaro(Bucknell) freshman 10′ 0″ Caroline McGann(Bucknell) 10′ 0″ Nick Marino(Bucknell) 15′ 7″ At Penn State National Open…. Abby Norwillo(UPENN-Freshman) soared 12′ 1.25″… In Boston at John Thomas Invite…Julia valenta(Dartmouth_ 12′ 0″ Kari Stromhaug(MIT) 11′ 5.75″ and Jess Ippolito(URI) 11’ 5.75″!!!! WOW—that’s enough for tonight—— CONGRATULATIONS ALL.